Choose your items then choose the color embroidery trim on the bedding choice. Items that will have monograms will get a choice of font and then add the monogram letters. All embroidery monograms will match Gordian Knot Trim colors. Combine monogrammed items and unmonogrammed items to create the perfect bedding. 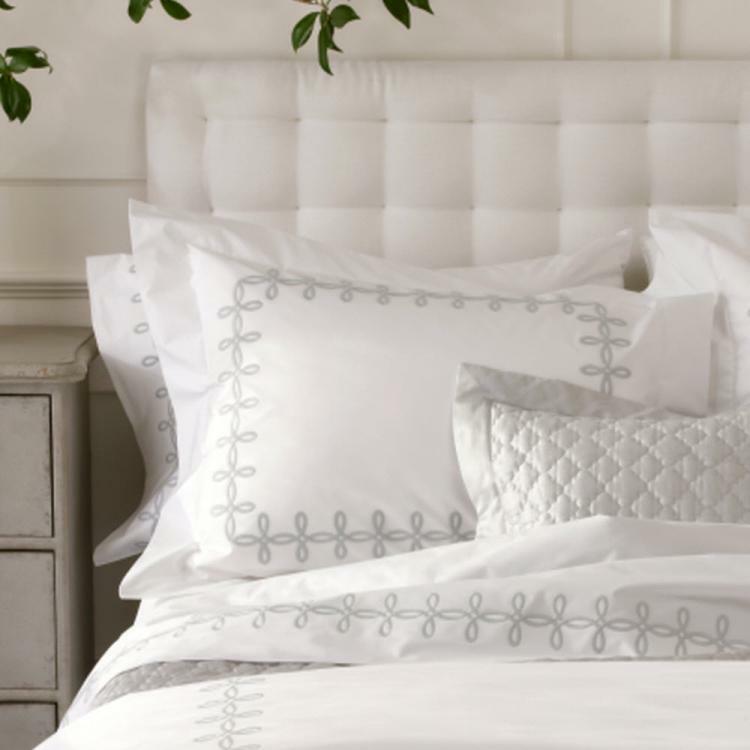 We suggest the large monogram on the coverlet and then unmonogrammed Euro Shams. Add to standard sham with monograms to compete the bedding. If you would like the bedding pieces without monograms we have all those choices,also.